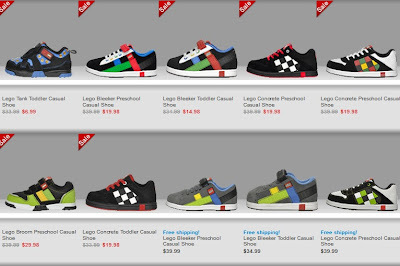 Babblings of a Mommy: Cool Finds: Lego Sneakers For Toddlers and Preschoolers. 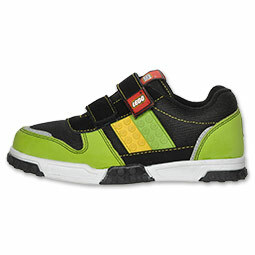 Cool Finds: Lego Sneakers For Toddlers and Preschoolers. Have a Lego freak on your hands? Well looky what I found at Finish Line! 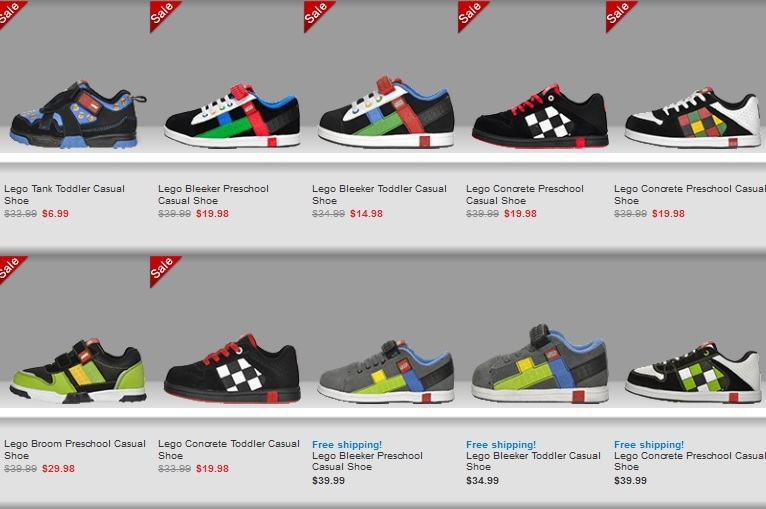 A whole assortment of Lego sneakers for your little tykes. They come in all toddler and preschool sizes, and have an array of colors to choose from. Plus with their favorite toy building brick on the side, I think this will make them very happy campers. Too bad, they don't have any girl sneakers. I would have liked to see what they looked like. After all, girls can be Lego fans too, right? But one thing that will make all parents happy is that these kicks come with a very affordable price tag--ranging from $7 to $40 bucks.